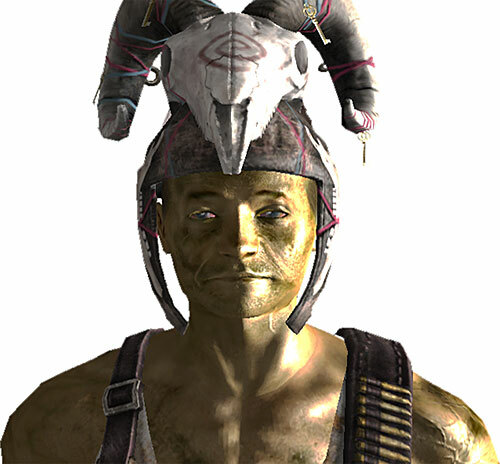 Driver Nephi is a minor character from the major Fallout: New Vegas video game, published in 2010. 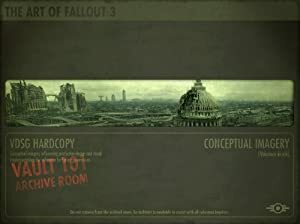 For an overview of the setting, see our Vault Dweller profile. Base Of Operations: Samson Rock Crushing Plant. Height: 6’3” Weight: 210 lbs. Notes: Height and weight were just estimates as most characters in the game are all about the same size. 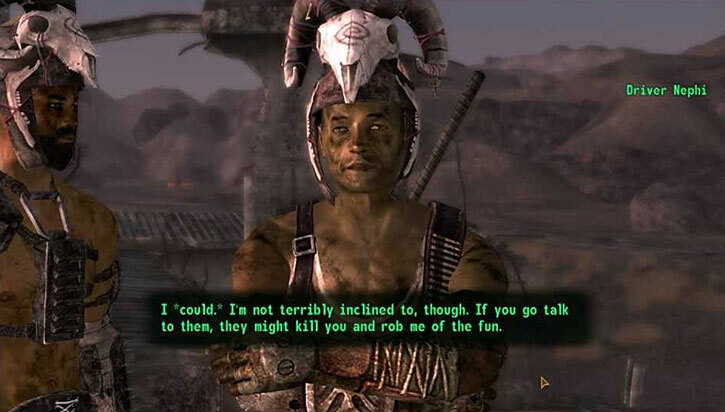 Nephi is a rather dangerous Fiend who specializes in close combat, but if anyone thinks that guns and ranged combat are the way to take him out they are sorely wrong as confirmed by several NCR Rangers. Nephi is extremely fast and hard to hit in ranged combat and in addition tends to use his underlings are meat shields who take bullets for him. Several snipers have sworn that they’ve hit him from a distance and this may well be true, but since he perpetually exists in a state of roided out combat rage due to all the drugs he takes he generally tends to shrug off even gun shot wounds. 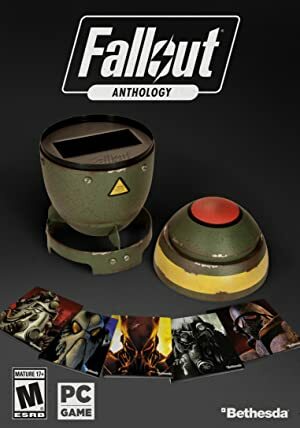 He’s also lethally effective with his signature weapon Nephi’s driver and has reportedly taken out a half dozen NCR troopers before they even knew what hit them. Nephi was originally a member of the Mormon Church from Utah and a friend of Bert Gunnarsson, but due to unknown circumstances fell under the influence of the Fiends and proved worthy enough to lead a small band of them as a lieutenant. 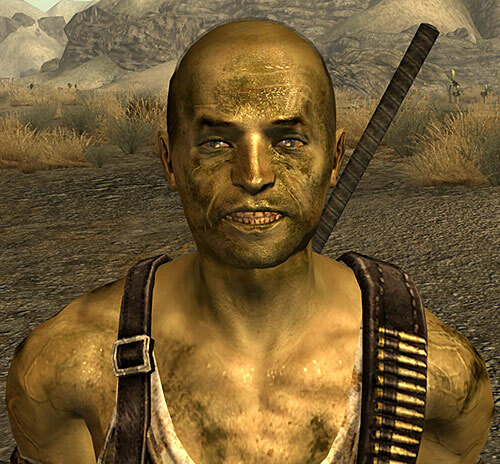 He has made quite a name for himself and clashed with NCR Rangers and troopers several times and was reportedly able to kill half a dozen troopers before they even realize what hit them. 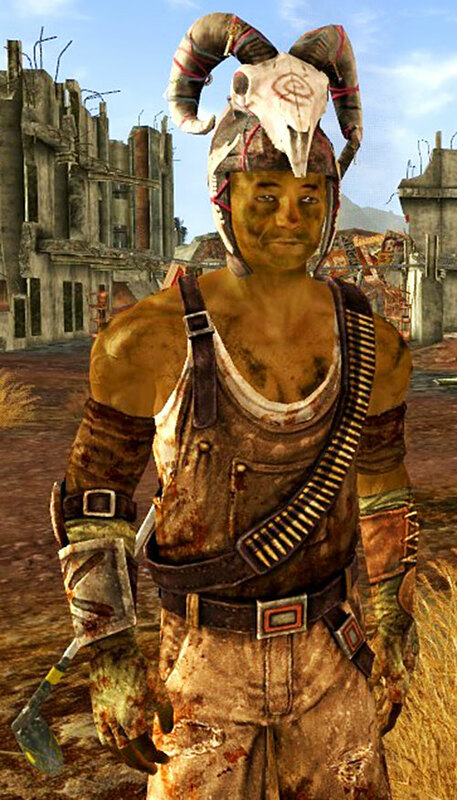 Several NCR snipers swear that they’ve shot him before (including head shots) and while this has never been confirmed he seems to shrug bullets off. 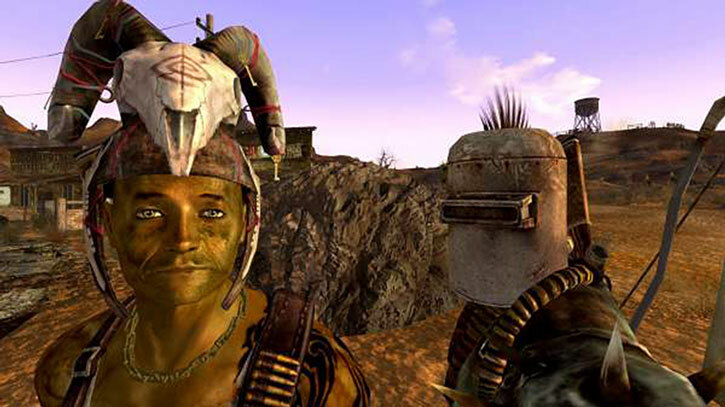 The NCR has placed a substantial bounty on his head and has currently deployed a sniper team with the express purpose of hunting him down. Nephi is a dirty Caucasian man who wears Mad Max type battle armor and always carries his favorite golf club. Not much really beyond a territorial roided out Raider who always attacks on sight. Could be inserted in any gritty city with rampant crime. He might make a good Bat Family villain given his power level and general tone. Conditional Soaking (bullets), Iron Nerves, Lightning Reflexes, Schtick (Take a Bullet for Me). SPI (Drug addled killer), Serious Rage. RAIDER BADLANDS ARMOR and FIEND BATTLE HELMET [/BODY/04, Real Armour]. Notes: Nephi is tough enough that he doesn’t actually need the armor and wears it merely for show. Nephi’s Driver [BODY 05, EV 05, R#00]. This is Nephi’s signature weapon and a more powerful variant of the common melee weapon the 9 iron (thus has slightly higher stats). It also has a special attack called Fore! which requires the user to expend an further automatic action to use and combines Stagger: 05 with the EV. This Schtick allows a leader to have one of their thugs or henchmen take a ranged attack in their place. For every two thugs or henchmen that are standing within 10 feet of them they gain an additional +1CS OV. Note that if the attack would’ve hit if the target in question did not have this Schtick then one of the random thugs takes the full force of the attack. This Schtick has no benefit if the target is blind sided. Nephi always has a group of Fiends with him. The number varies depending on the player’s level, but it is roughly one Fiend for every two character levels thus it’s up to the GM to have whatever amount of thugs with him to represent the appropriate threat level. GM’s who want to keep it random can roll 1D10+1. All Fiends have standard thug stats and some slight upgrades choose (or randomly roll) ONLY ONE of the following; +1 Str, +2 Body, Damage Capacity: 03, 20 HP, and street level melee weapons. If Nephi was caught and forced to detox then his physical stats would fall to 6-5-5 and he would lose his Martial Arts and Damage Capacity as the stats boosts are the result of multiple combat drugs. His HP total would also fall to 45 and he would also be penalized one genre on the genre table. Helper(s): Sébastien Andrivet (for weapon stats), Roy Cowan, Darci.